Bollywood dance classes are a mixture of many different dance styles including classical Indian dance, street, jazz, and others. 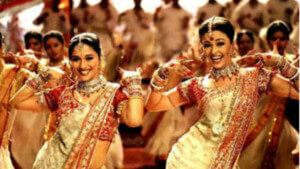 Bollywood dancing is derived and evolved from the Indian film industry. We offer progressive courses in Bollywood dancing and Bhangra dance, both highly energetic and fun-filled calories burners! The Bollywood dancing classes are a fusion of classical Indian dances like Kathak and Bharatanatyam with modern Bollywood fusions of street dance/ hip-hop and jazz to create funky routines which will get you dancing to any Bollywood song. Our Bhangra dance classes focus entire on the party dance Bhangra which is perfect for social dancing at weddings and parties. Learn funky and energetic routines to Bollywood music! Suitable for those with little or no previous experience. Experience a Bollywood class before joining one of our progressive courses. Learn the party moves and workout in a fun way. No previous experience required. Discover Bhangra dance before joining one of our progressive courses. Beginner evening courses and Taster Classes. Locations include: City (Bank), Holborn.